We at Thistle & That are launching our brand new site! We are excited about the possibilities that our new site provides and how we are going to be able to better work with brides in the Dallas-Fort Worth area to create their vision for their big day. Today, on our blog, we are going to show you how to use our new site and how you can get the most out of your Thistle & That experience. If you are ready to start planning your wedding with us, request a consultation with our florists — we can’t wait to work with you! 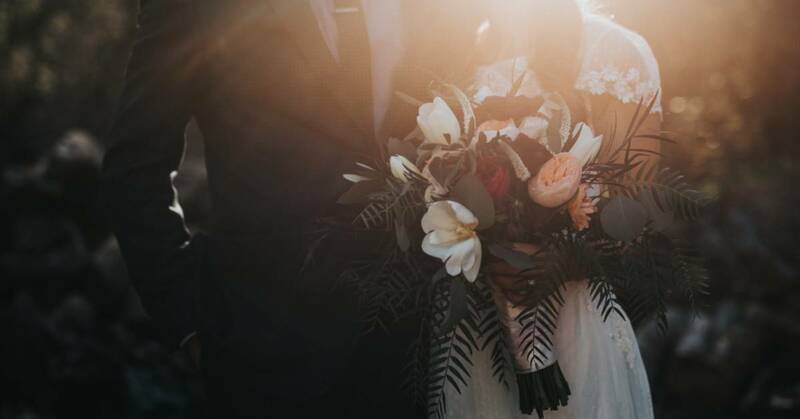 No matter who you are, planning a wedding can be incredibly stressful, and one of the biggest stressors is creating a budget and sticking to it. Many brides in the Dallas-Fort-Worth area are wondering how to create their dream wedding without breaking the bank and wondering if it is possible to have fresh flowers — with Thistle & That, it is possible. Click on the styles you like and start exploring all the options that we can provide you! We offer a variety of options for centerpieces, archway and table setting elements, and bouquets for bridesmaids and the bride. Additionally, you can rent vases, candles, containers, and other elements for displaying and accenting your chosen floral arrangement — just one more way we can help you save money. After you’ve had a chance to check out our gallery page, request a consultation! You can do this, by contacting us or by clicking on the “Get Started” button. There you can tell us a little bit more about you and your big day including your wedding date, bouquet and centerpiece needs, wedding colors, your venue, and anything else you would like us to know. Providing us this information can help us better help you create the pieces that will make your dream wedding a reality. However, if you’re still unsure about certain elements or simply just want more information about us, that’s okay — we would love to help you figure out the details of your big day. Give you step-by-step instructions for creating your pieces for your wedding day. This valuable training will allow you to be able to effectively work with fresh flowers to create the pieces you want. Fresh flowers can be difficult to work with and need a little extra TLC to not only look good, but last your entire wedding day. Though fresh flowers may be a little more work than fake flowers, their look and the fragrance and general ambiance they provide will be entirely worth it. We suggest taking our class before your wedding day so that you and those who are helping you create your pieces have an idea of how to make your pieces, as well as how much time it may take you to work with your flowers. However, when you create the actual pieces should be as close to your wedding as possible to keep your flowers fresh-looking for your entire day. Finally, we take care of everything when it comes to supplying the flowers you need. We supply premium, fresh, wholesale flowers allowing you to enjoy discounted prices for beautiful, fresh blooms. As with everything we do, we try our best to work with you to take the stress out of your day when you are doing your wedding on a budget. Learn more about the possibilities for your big day, when you contact Thistle & That! We would love to help you DIY your wedding flowers and save money by helping you create the wedding flowers that you’ve always dreamed of. Contact us today to learn how we can create your vision, the flowers that are in season for your wedding, and more.